Home / Can I Afford This? Despite the benefits of senior living, people often postpone the transition for fear of how they will afford it. Senior housing and care can seem expensive, and at times, complex and confusing. We know that each person is unique, and so are their specific care and housing needs. Choosing the right living option for you or your loved one can be challenging, but we're here to make finding the right community easy for you and your family. Click on the topics below to learn more about the financial resources offered here at American House. Call, email or stop by a location near your today to see how we can help. Most American House locations offer Friendship Suites – a program where two adults can share a double occupancy suite, which significantly reduces the overall cost for each resident. This program also provides both residents the opportunity for an additional level of emotional support and companionship. For more information, please contact the Executive Director at the American House near you. Most companies offer policies to people between the ages of 18-85. Allows people to choose where they receive care, and it is structured to meet a variety of needs. Can help maintain financial independence from family, and often eliminates the need to borrow money for long-term care. Tip: If one does not already have long-term care insurance, but has an immediate need for care, this option may be prohibitively expensive. The Living Benefit program works with all types of life insurance policies including Term, Universal Life, Whole Life and Group policies. A Living Benefit program is a payment that is available to people who meet specific medical criteria. A Living Benefit program makes it possible for you to receive up to 50 percent of your life insurance policy’s death benefit while still reserving coverage for your family. To qualify you must have a life insurance policy with a death benefit of at least $100,000. You do not lose your life insurance and your beneficiaries remain the same. 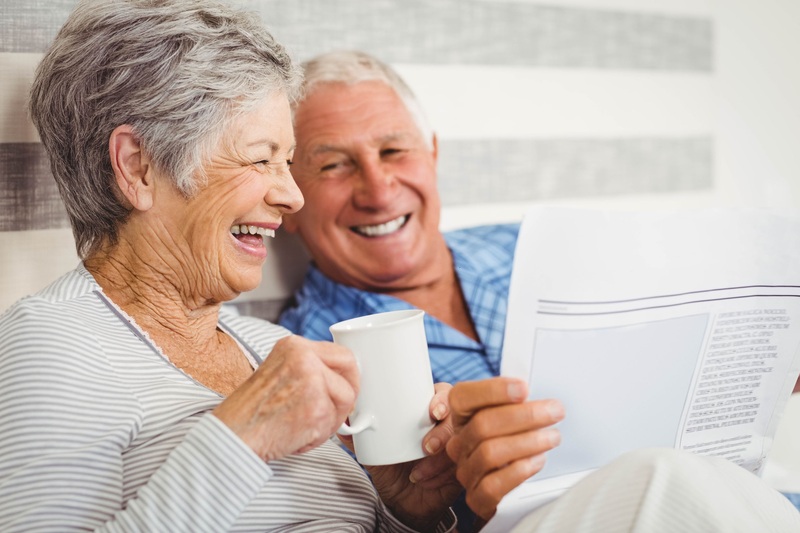 With your cash advance, you can pay for your senior living expenses. For those who no longer want or need a life insurance policy, there is an alternative available where you can get paid the value of your policy and terminate any interest you have in the policy. There are no out-of-pocket fees at any time. When borrowing against life insurance, the interest rate can vary depending on the state. Tip: Not all five options are available to all policyholders, nor do they necessarily make economic sense for everyone. Please consent your insurance provider. Home equity loans are typically five to 15 years. HELOCs operate much like a credit card. HELOCs allow you to borrow as needed over the life of the loan. You can borrow as much or as little as you need, whenever you need it, as long as you do not exceed your credit limit. Like a credit card, you only make payments on the money you actually borrow, not on the full amount available. Tip: HELOCs are not available to all homeowners nor are they necessarily appropriate for every family. Most forms of low-income senior housing are available through or supported by the U.S. Department of Housing and Urban Development and the federal government. Section 202 Supportive Housing for the Elderly: Section 202 housing serves very low-income senior citizens, including the elderly, who also need assistance with daily tasks. HUD provides capital advances to private, nonprofit sponsors to finance properties to be used as senior citizen homes. Public Housing: These are apartment complexes or high-rises operated by city or county public housing agencies. Tenants must be low income, and they pay about 30 percent of their income for rent and utilities. Housing Choice Voucher Program (Section 8): This voucher program helps low-income families, the elderly, and disabled people pay the rent in privately owned, market-rate apartments. Tenants generally pay 30 percent of their monthly adjusted gross income for rent and utilities, and the voucher makes up all or most of the difference. Tip: All of these programs are often referred to erroneously as assisted living voucher programs, and are funded by the U.S. Department of Housing and Urban Development. Veterans and survivors who are eligible for a VA pension and who require the aid and attendance of another person (or are housebound) may be eligible for additional monthly payments above the normal pension amount. VA pension can help pay for the assistance one may need for everyday tasks such as medication management, eating, bathing, and dressing. The approval process averages nine months but, it pays retroactively upon approval of eligibility. The amount of the award depends on the income of the applicant and the actual costs of care they pay monthly. The VA does not differentiate between a nursing home and assisted living community in their definition of “nursing home.” As a result, in most states, residents of assisted living communities frequently qualify for the benefit. Tip: Readers should know that the Aid and Attendance benefit is often referred to by other names. One will sometimes hear the names “improved pension”, “VA assisted living benefit” or “veterans elder care benefits”. These are various names for the same program, which, as mentioned before, is an additional benefit added to the basic VA pension. The U.S. government provides health coverage to more than 4.6 million low-income seniors and 3.7 million seniors with disabilities through the Medicaid program. Medicaid can be used to pay for long-term nursing home care in all states. Each state has individual rules, regulations and eligibility requirements. Florida: Florida has eliminated its HCBS Waivers and now covers assisted living through the Statewide Managed Medicaid Care – Long-Term Care. Michigan: Through the Michigan Choice Waiver Program, the state will pay for assisted living. However, the state may refer to it as adult foster care or homes for the aged. Another option is Health Link. Ohio: Ohio offers a Medicaid waiver specifically for assisted living called the Assisted Living (AL) Waiver Program. This program pays for care services in residential care communities, but does not pay for the room and board cost. There are a limited number of slots available and participants must select from approved providers. In certain counties, the AL Waiver has been replaced with a Managed Medicaid program called MyCare Ohio. New Hampshire: New Hampshire, through the Choices For Independence Medicaid program, pays for assisted living. However, it is referred to as adult family care in the list of the program's benefits. Elderlife Financial to date is the only company to offer a loan designed for senior care. The Elderlife Bridge Loan is a line of credit, with no up-front out of pocket costs or application fees. This loan offers relief to those who need immediate care. The Elderlife Bridge Loan allows you to pay for rent and care in the short term while waiting for other funds to come in later. The loan is also designed to allow for multiple co-borrowers to share the cost of paying for the senior’s care. The application is quick, complimentary, and can be taken over the phone in 15 minutes and families can be approved in 24 hours. The program is community specific, meaning each building operates its own waitlist, qualifying standards and rent amount. Each community must abide by the waitlist policy, tenant selection plan and affirmative fair housing marketing plan. Only a certain percentage of apartments, in each building are considered LIHTC, except American House Brownstown, which is our only 100% tax credit building at American House. The program does not pay anyone directly, only reduces the monthly rent. Participant must go through a qualification process managed and maintained by the American House Compliance Department (may take up to eight weeks to qualify). The LIHTC program is income based, which means the resident must fall below the income limit in order to qualify. A portion of the resident assets are included in the income qualification process. Prospects still need a reasonable monthly income in order to afford American House. Program monitored by Michigan State Development Housing Authority (MSHDA). Annual building inspections and file audits are required by MSHDA. Tip: This is a rent reduction program with specific guidelines and rigorous qualifying practices. Disclaimer: The information contained on this website is for general information purposes only. You should not rely upon this information on this website as a basis for making any major life decision. Whilst we endeavor to keep the information up to date and correct, American House Senior Living Communities makes no representations or warranties of any kind, express or implied about the completeness, accuracy, reliability, suitability, or availability with respect to the website or information, products, services or related graphics contained on the website for any purpose. Any reliance you place on such material is therefore strictly at your own risk.